Air conditioning in schools, hospitals, nursing homes, and other institutional buildings can be crucial for the sake of the occupants that reside in those structures. Who knew that the same thing that keeps us comfortable can also make us sick? 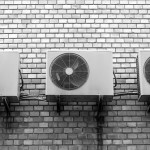 AC units with dirty air filters can be a concern in any commercial or residential environment. This can cause the AC unit to work harder than it should and can keep the same dust and pollen circulating in the air we breathe. Simply put, if we neglect cleaning our air filters it can restrict airflow and cause health problems. This can easily be avoided, especially if you have washable air conditioner filters. Our washable air filters are very easy to clean and maintain. A key difference between our washable air filters and a disposable one is that our filters have an electrostatic charge. Which means, our filter media (with the help of airflow) attracts dust to the surface area of the filter. When dust builds up, the airflow causes the dust to break off into our exclusive Accumulator Chamber®. 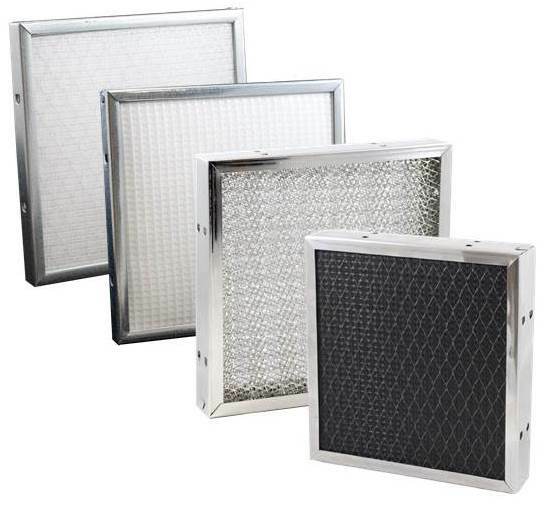 Washable air filters can help improve the indoor air quality within commercial environments and offer you the least cost over a useful filter life. Washable air filters work best for filtering particles visible or invisible to the naked eye; 0.5 microns or larger. Although washable air filters are initially a bit more expensive than disposable air filters, they last longer. So you’re basically trading off longevity over price short-term. You will save more money with a washable filter, even though it is more costly up front, this type of filter will pay for itself in the long run. When it comes to cleaning air filters, thoroughness is key. In terms of maintenance, you need to clean washable filters once every month, neglecting this can cause restriction of airflow as dirt keeps building up within the filter. Proper cleaning of reusable air filters is important to maintain critical airflow and prolong the life of the AC unit. When you inspect your AC filter and see dust on the surface of the filter, it’s time to clean it up. First, you need to safely get the filter out of the AC unit. Rinse it in a sink or tub with water. You can use a gentle brush and mild detergent to wash off sticky particles. Once that’s done, shake the excess water so it drains out of the drain holes in the frame, and reinstall the air filter back into the system. 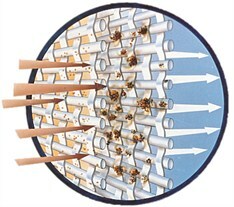 The airflow from the system will dry the clean filter completely. Washable air conditioner filters are very easy to clean and maintain. Unlike disposable filters, you can simply take them out of your HVAC unit, rinse them with water, and they’re good to go again. Maintaining a clean and functional AC filter is one of the keys to keeping any commercial building safe from dirty air. Model HFA: High-efficiency particle removal. 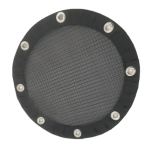 Contains multiple layers of custom woven electrostatic polypropylene media, plus non-woven polyester.